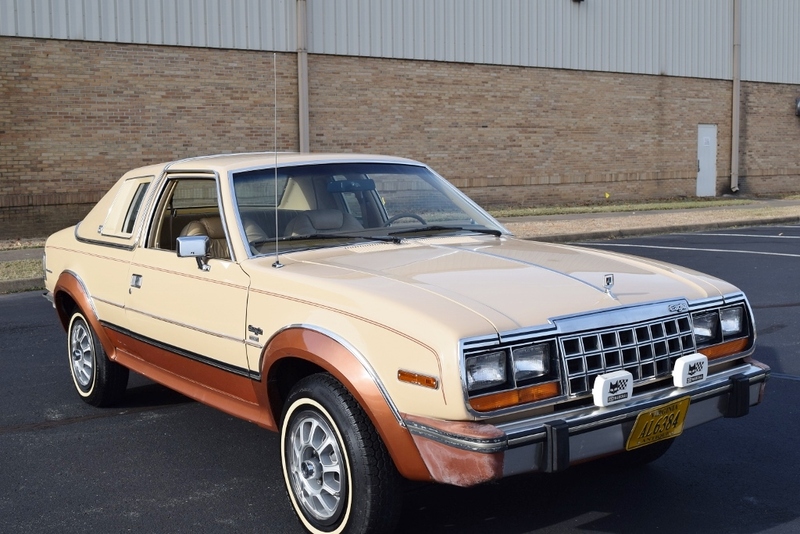 The All-Wheel Drive Eagle is another iconic car from American Motors. 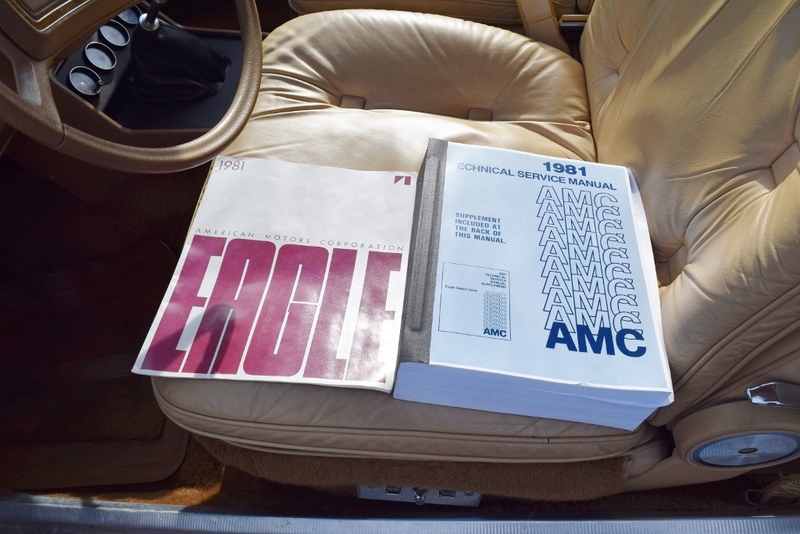 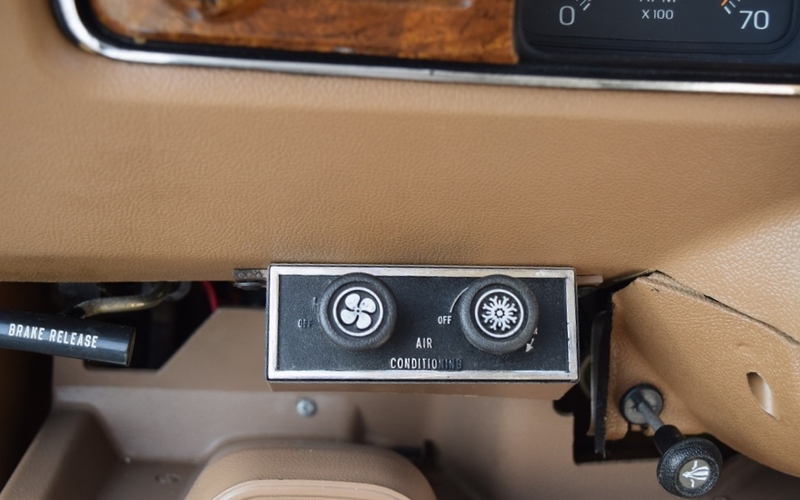 Ahead of its time, the Eagle Limited combined go-anywhere toughness with luxury—the real fore-runner of the current all-wheel drive cars available from Audi, BMW and Mercedes. 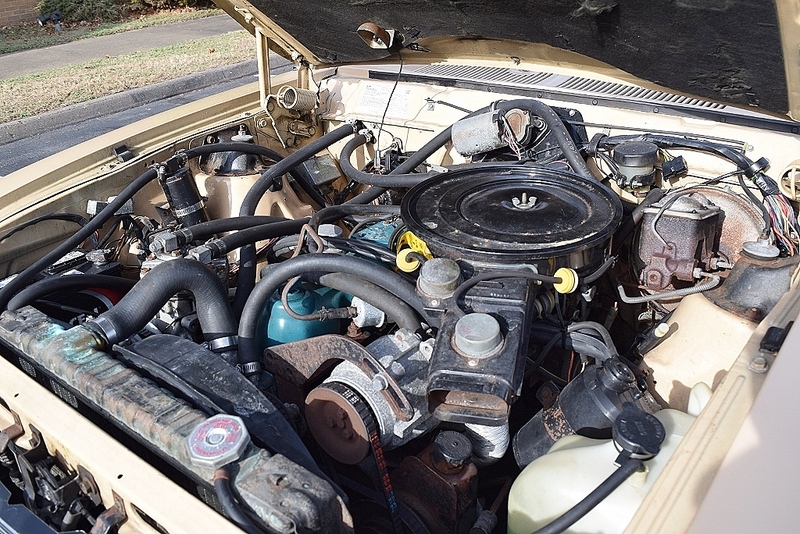 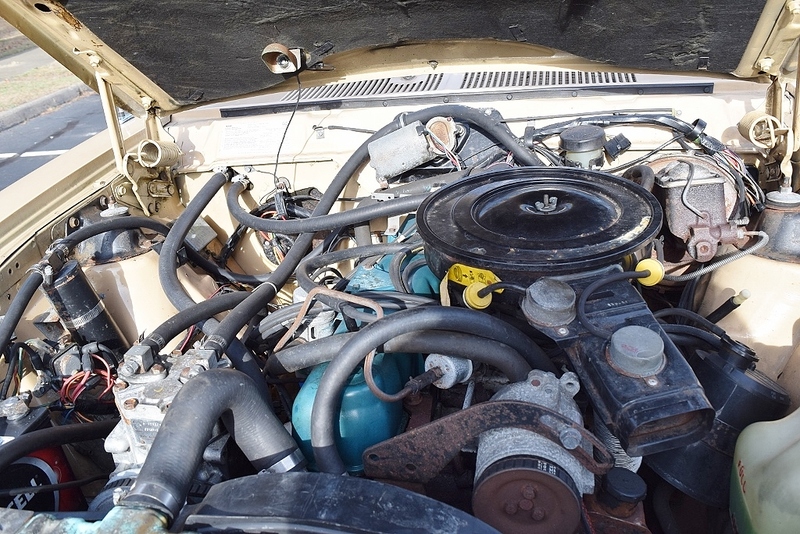 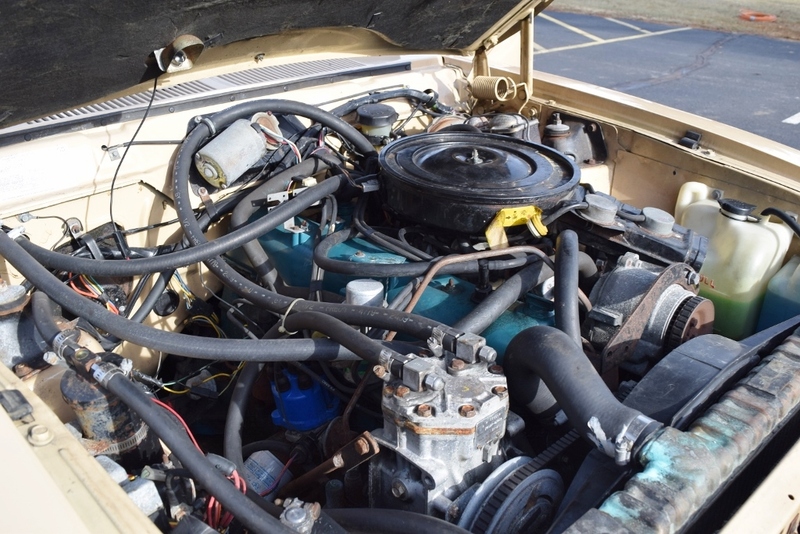 This two-door, 4-speed car comes with a clean AutoCheck confirming its 50,000 mile history. 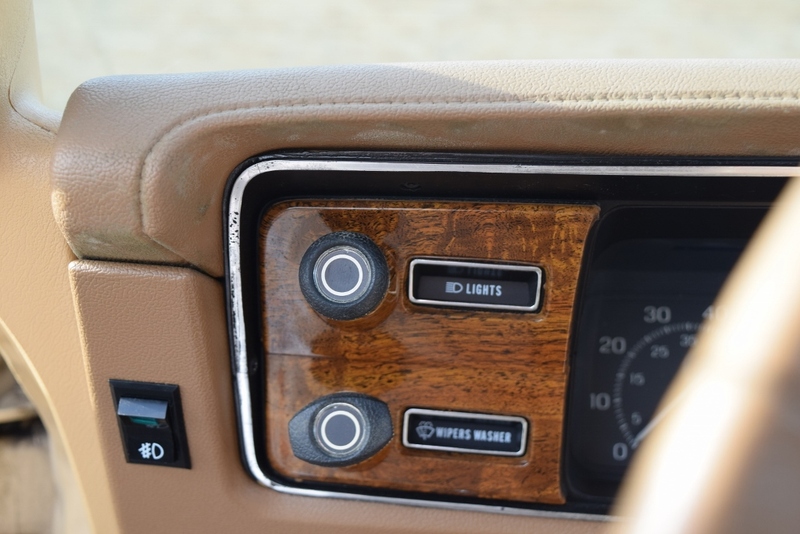 Starts at the turn of the key. 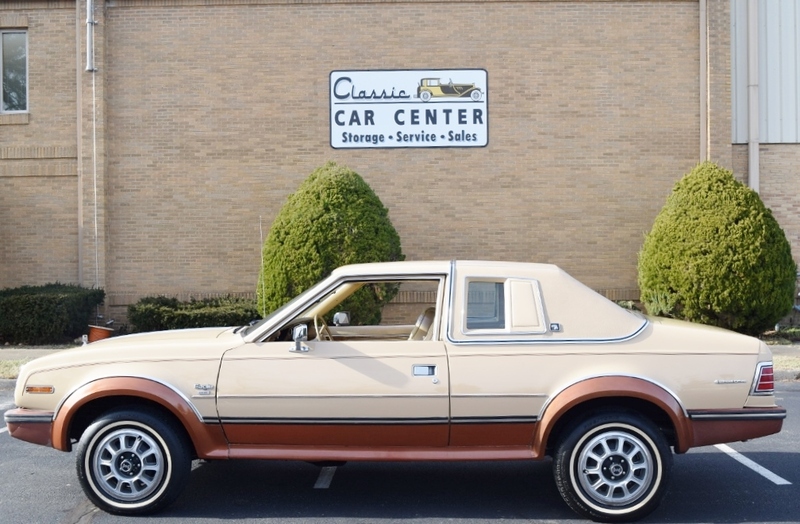 The two-tone finish [Cameo Tan and Copper Brown] is in showroom condition. 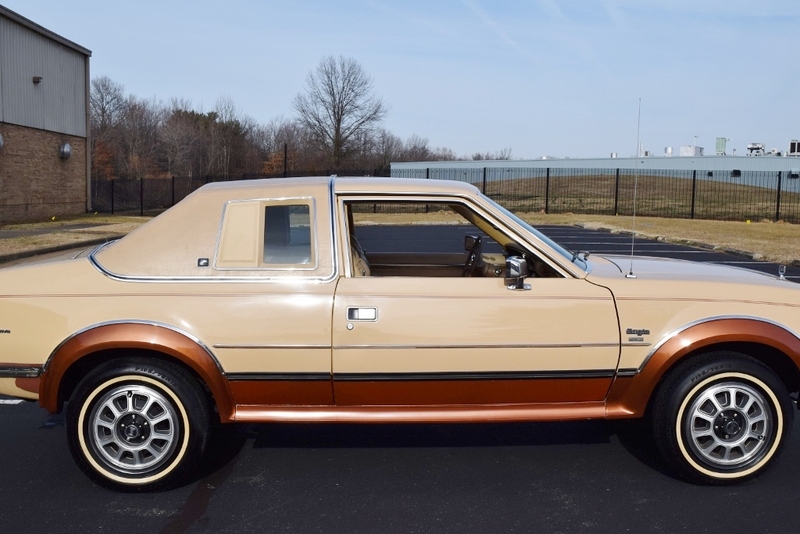 The color contributes to the elegance and sportiness of this 2-door runabout. 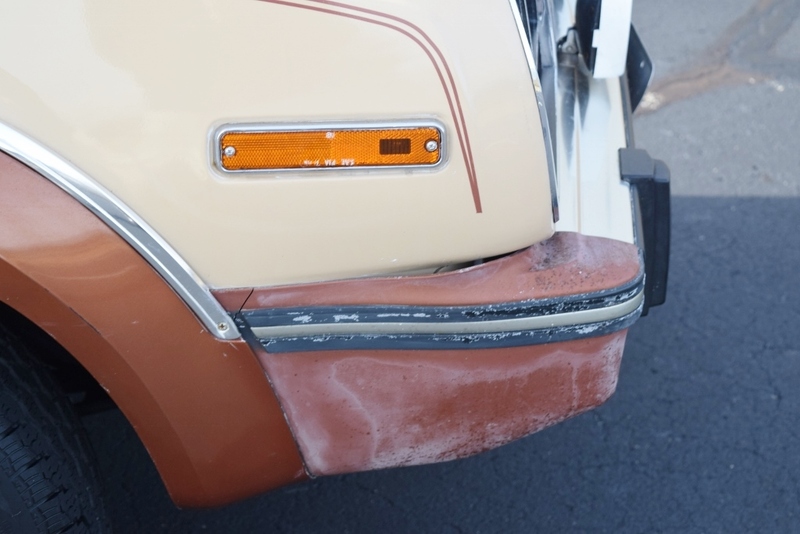 The chrome trim is all in excellent condition, with some sun deterioration of the plasticized trim pieces around the bumpers. 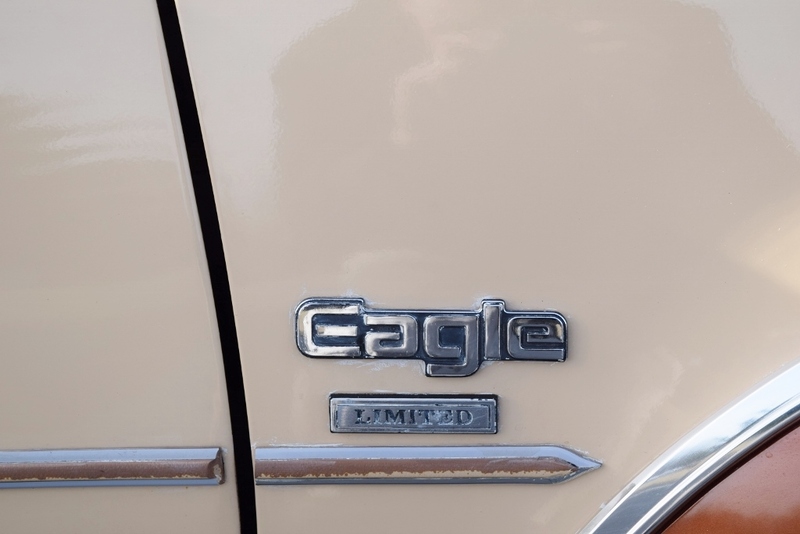 The underside of this Eagle is clean and appears free from corrosion. 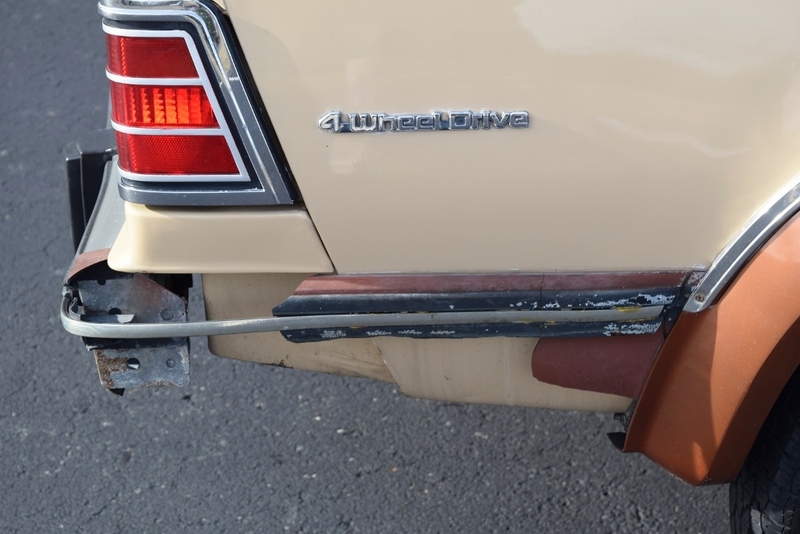 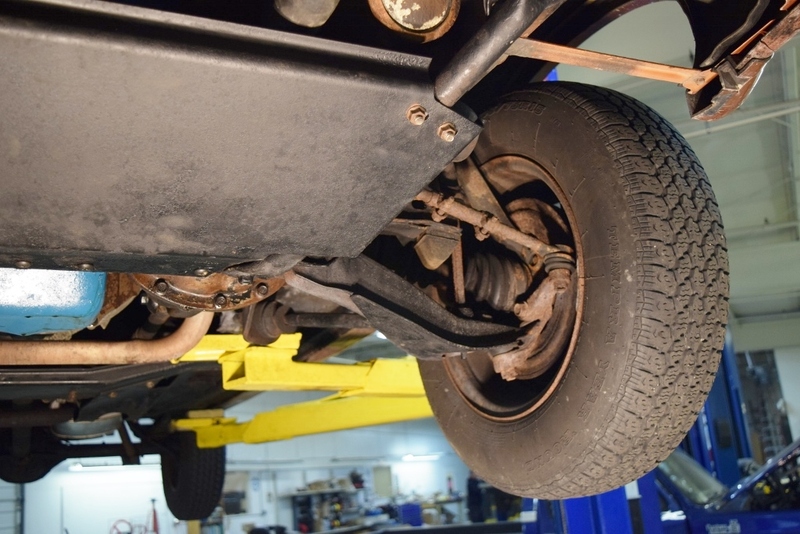 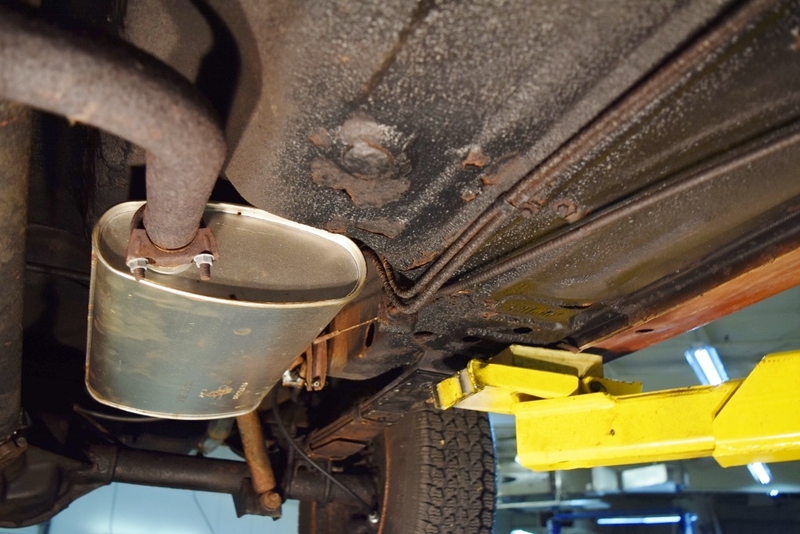 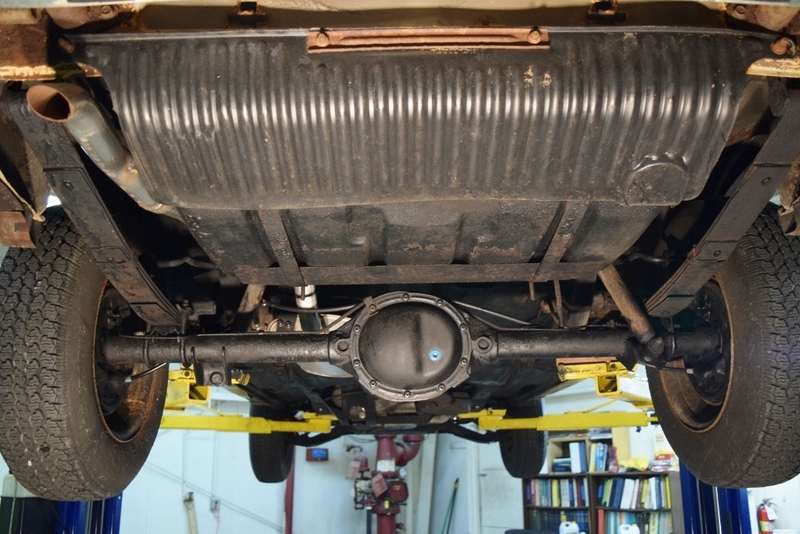 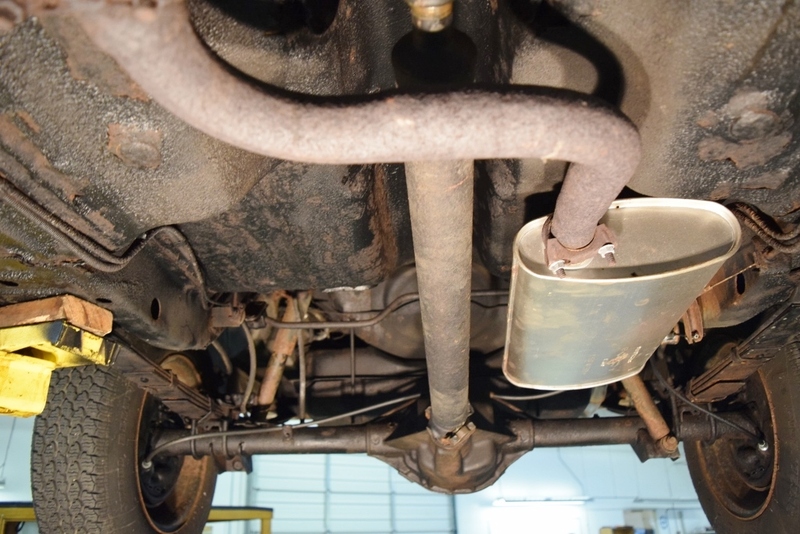 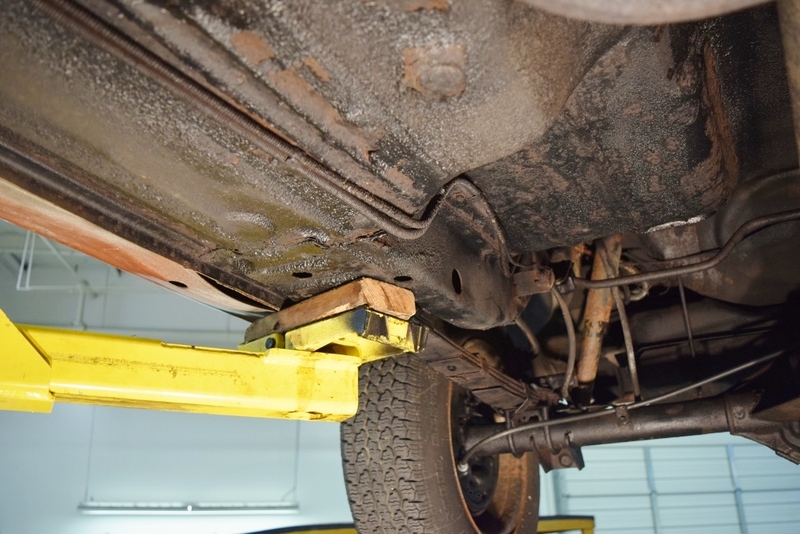 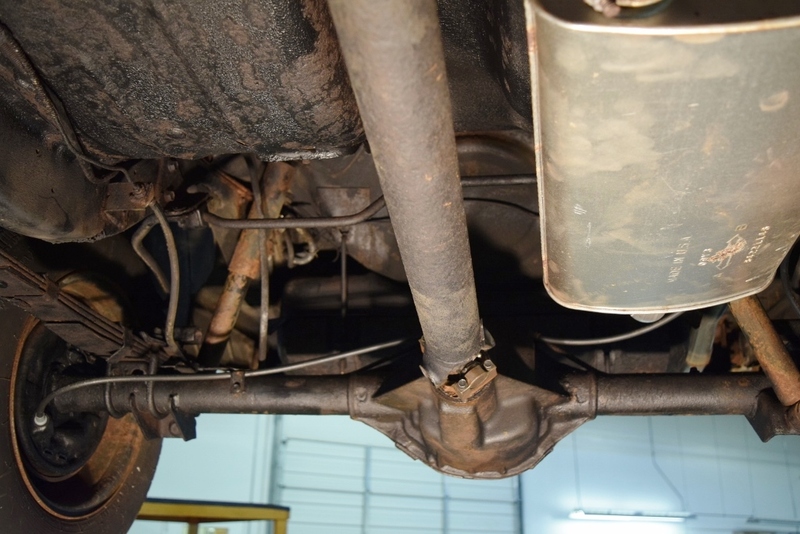 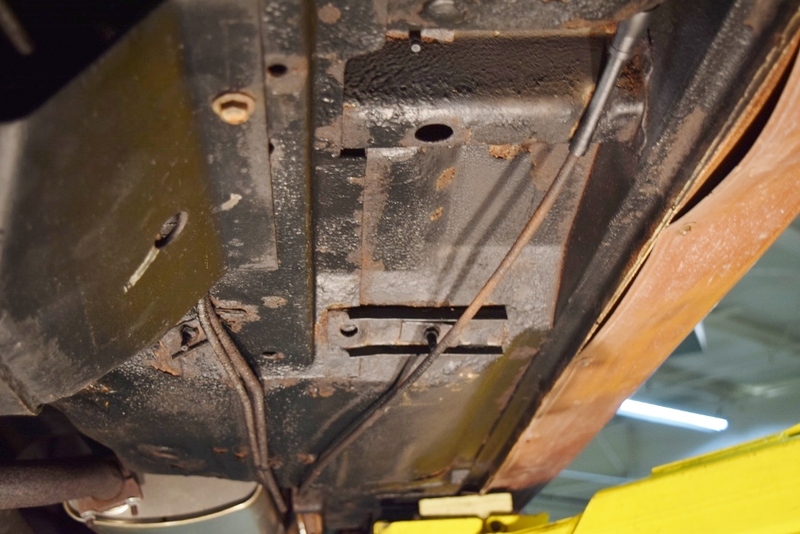 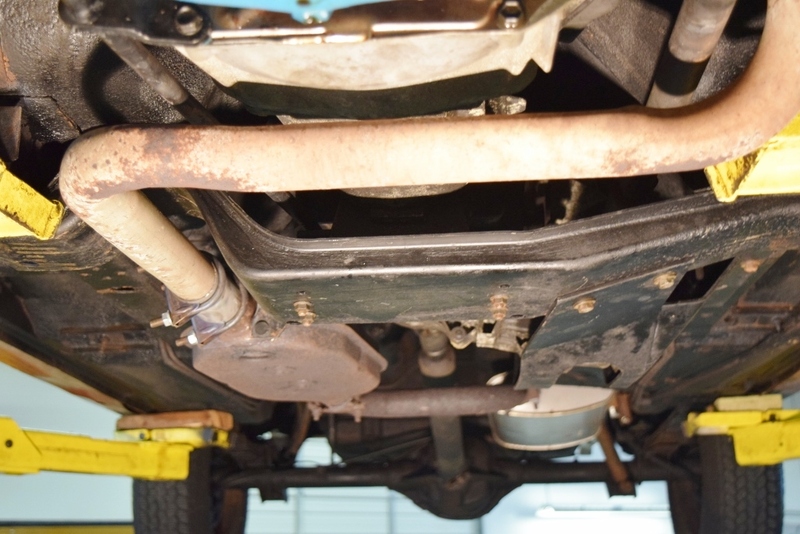 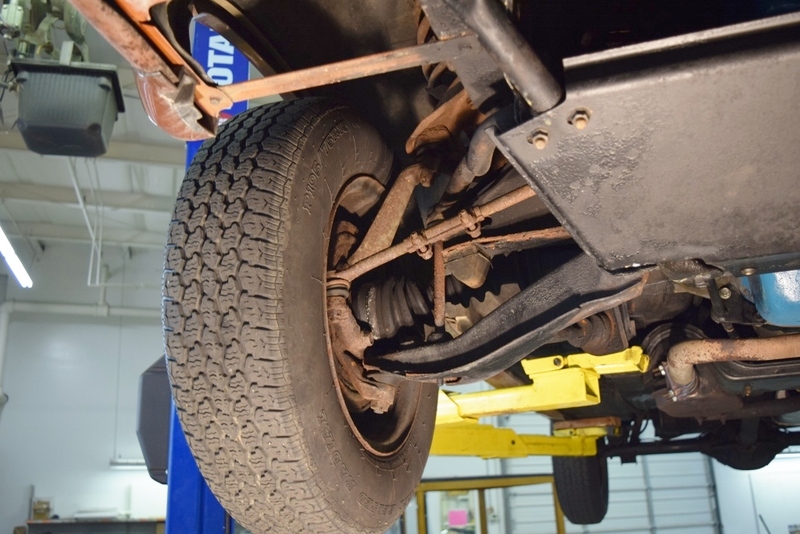 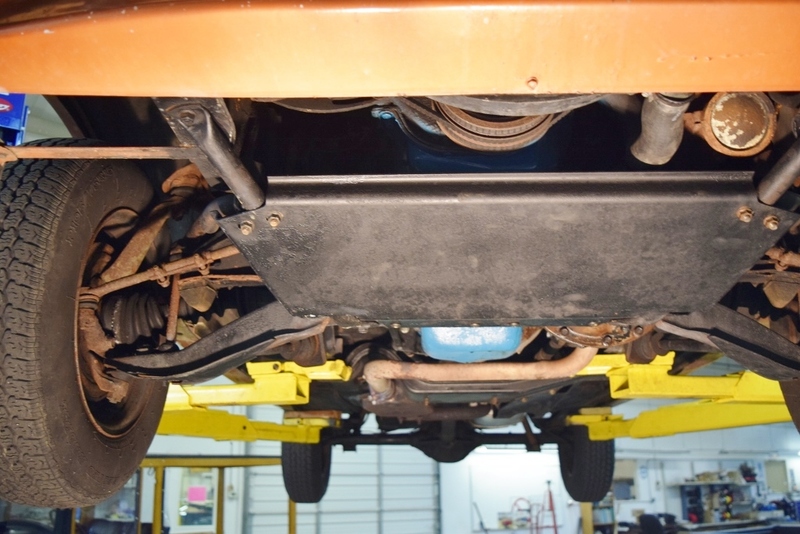 The entire car was treated by the Ziebart rust-prevention system at the factory and many of the metal components in the car were galvanized. 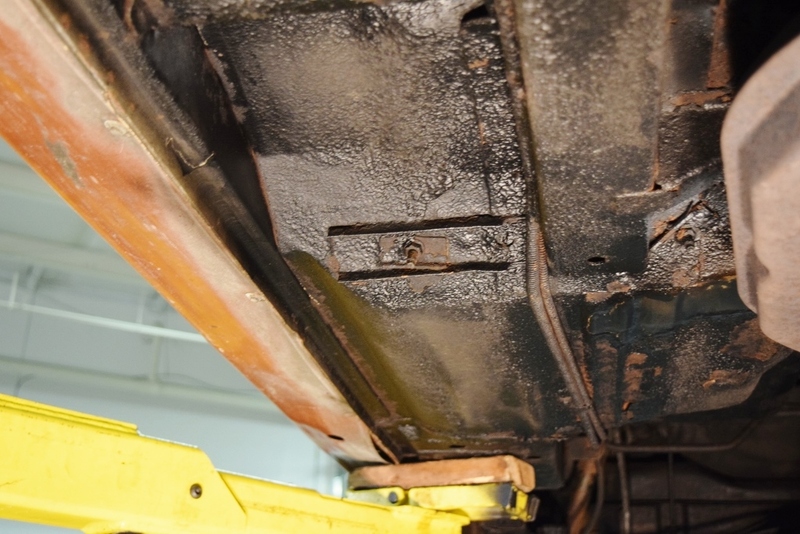 That probably contributes to an industry first: a 5-year warranty against rust-through. 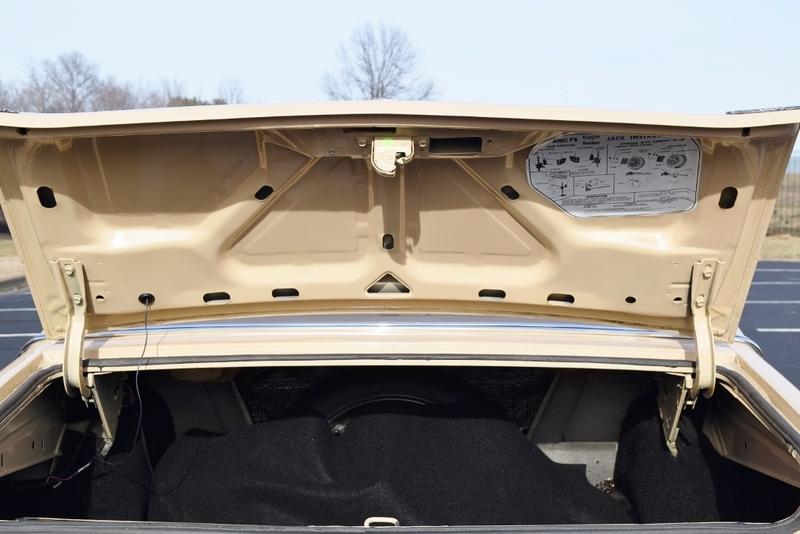 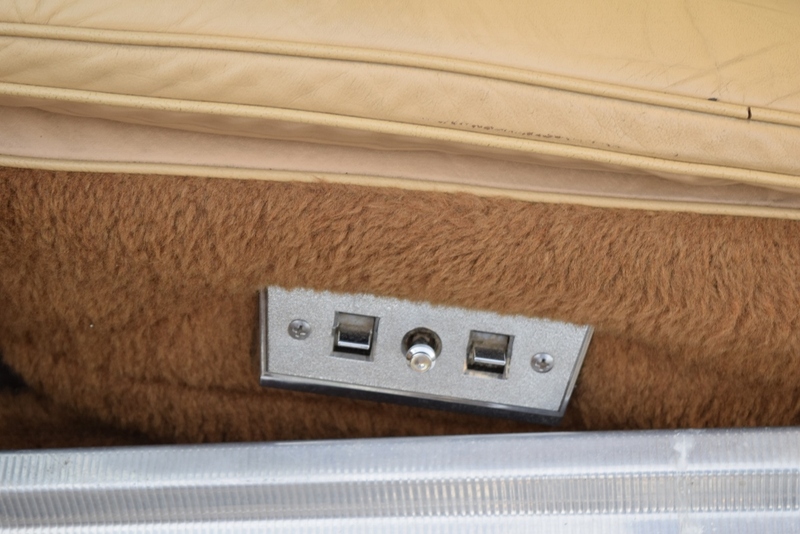 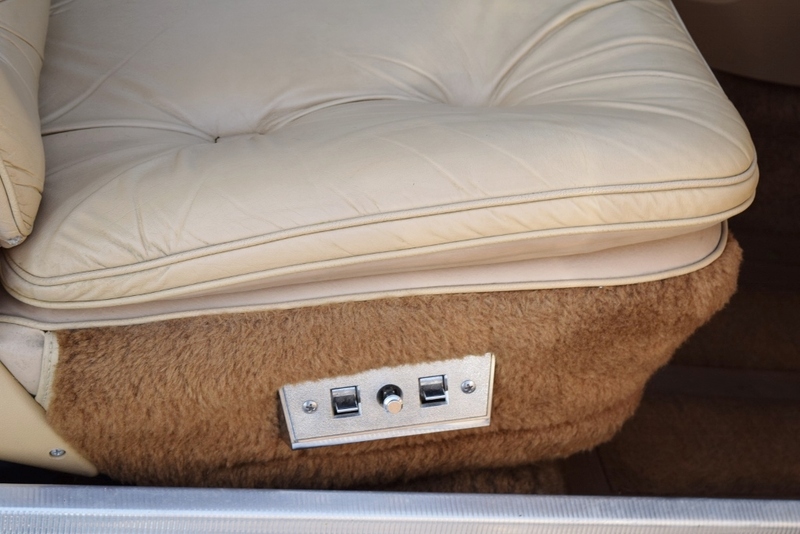 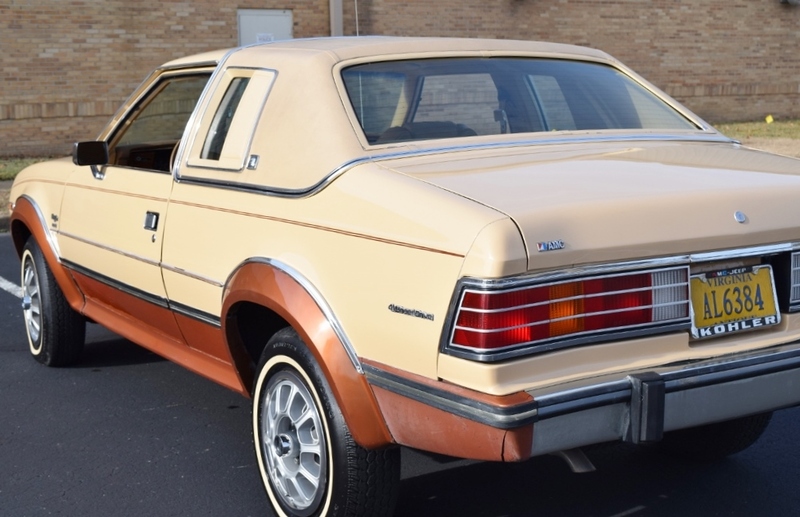 The tan vinyl padded top is in excellent condition and further adds a look of sportiness whether traveling on the highway or crossing the meadow to get to the horse stables. 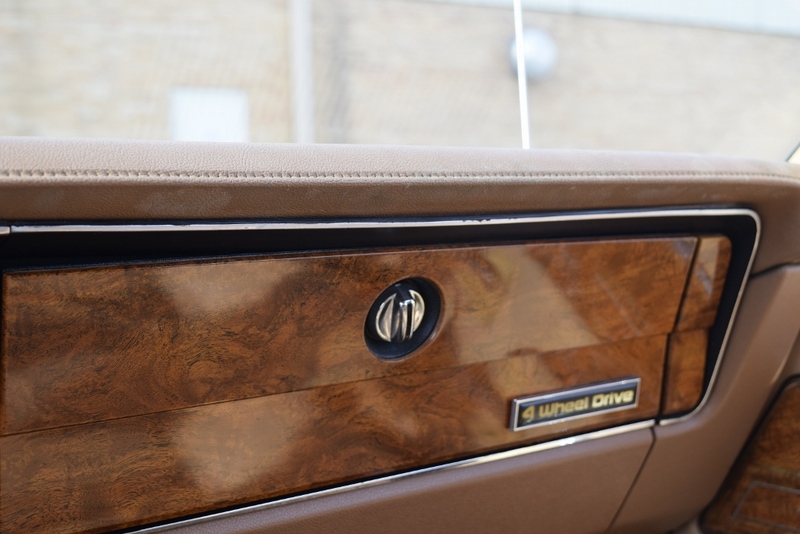 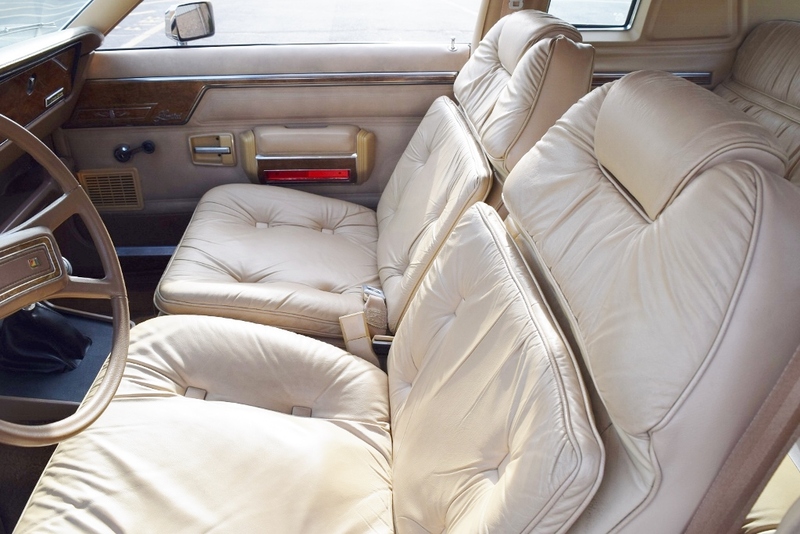 The tan leather interior is clean and fresh-looking, and as one would expect, the upholstery is free of rips, holes or separations. 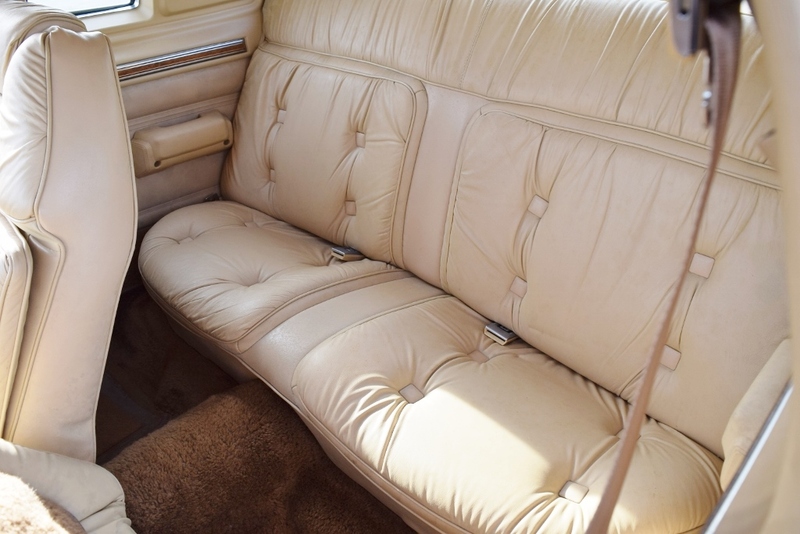 This, however, isn’t the Spartan leather interior of a sports car but rather that of a luxury car like a Cadillac or Rolls. 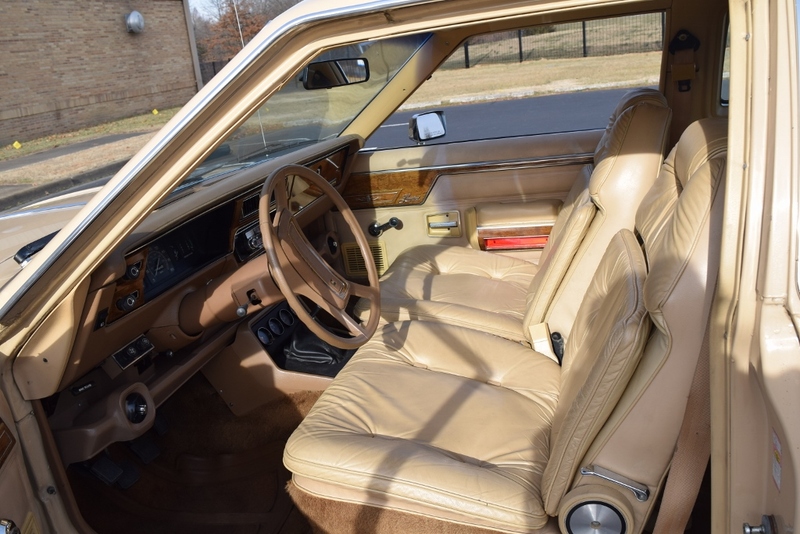 The dash and interior trim are all in excellent condition as well. 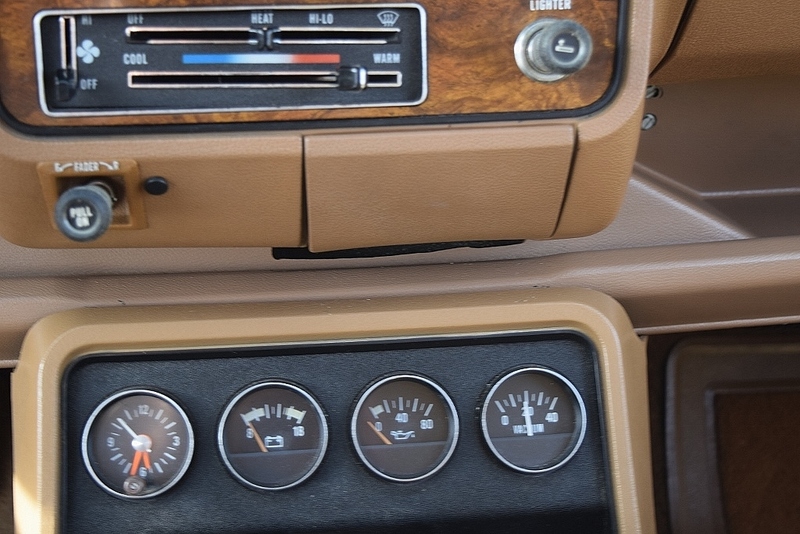 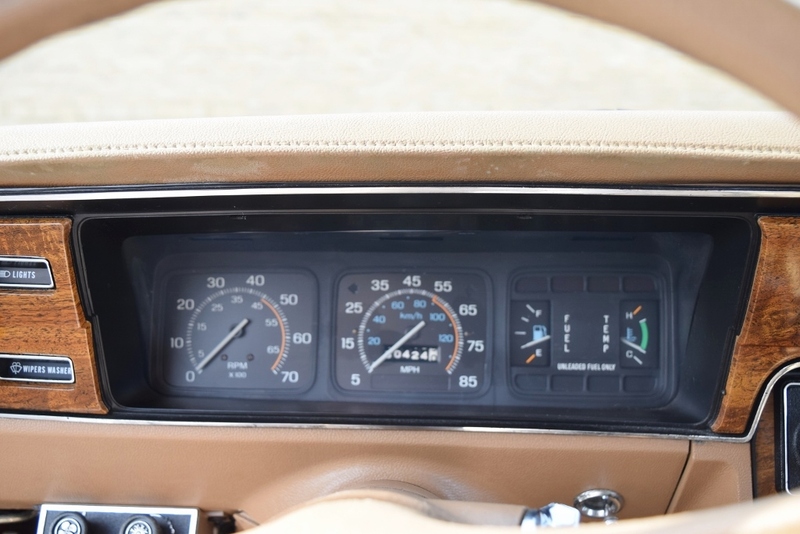 The gauges all appear to work properly as do the lights, wipers and horn. 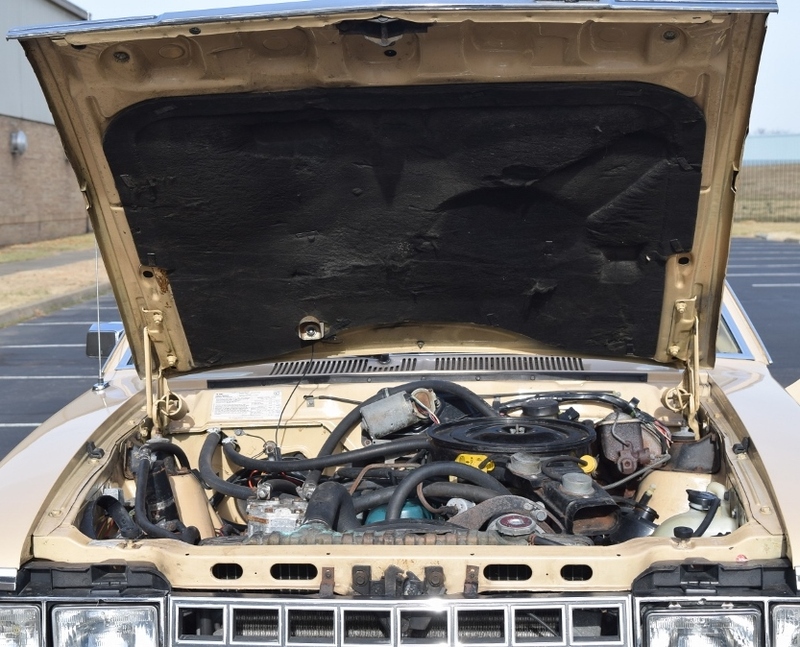 The 4.2 liter 6-cylinder engine overhead cam engine is rated at 110 hp and produces all the power you will need in this sporty coupe [it is the same engine that formed the basis of the reliable Jeep powerplant]. 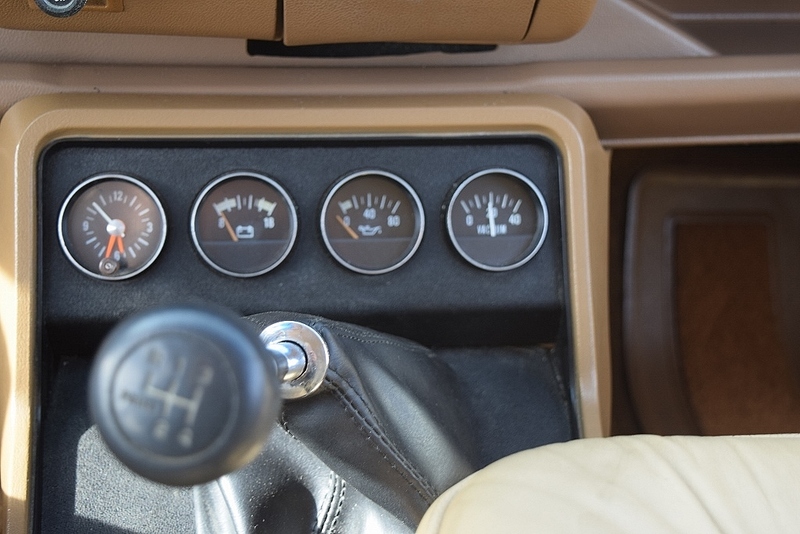 At the touch of the starter the engine comes to life, ready for a trip on the highway or into the snowy meadows. 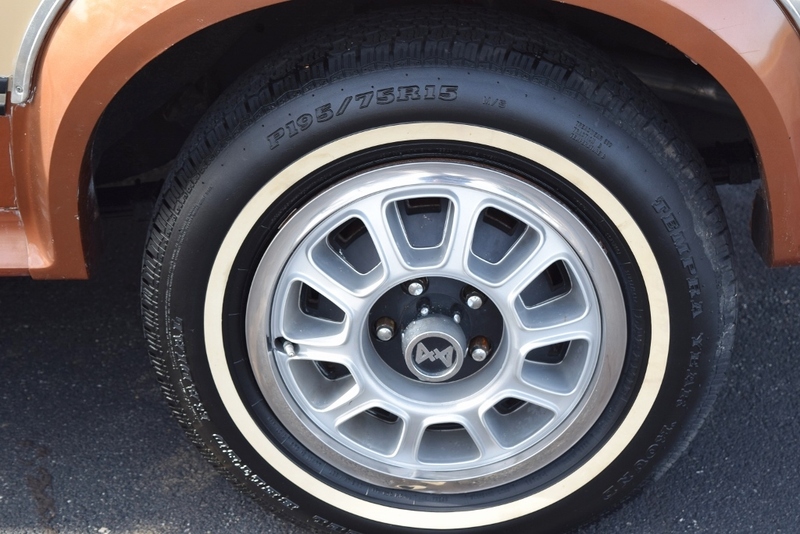 The power brakes—disc on the front and drum on the rear—effortlessly bring this car to a quick and safe stop. 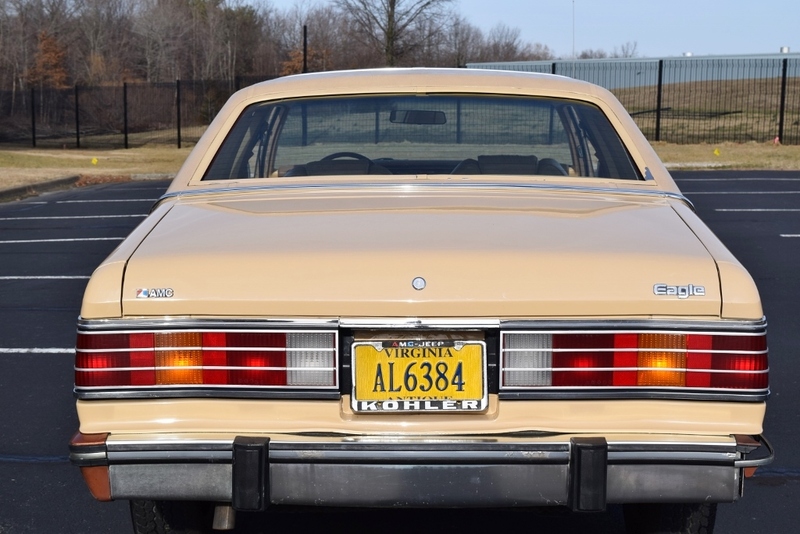 American Motors often led the way in both styling and owner satisfaction. 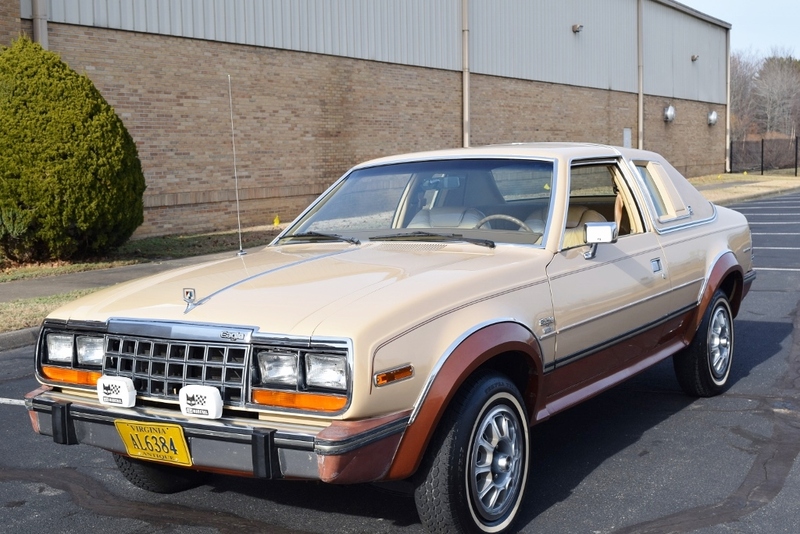 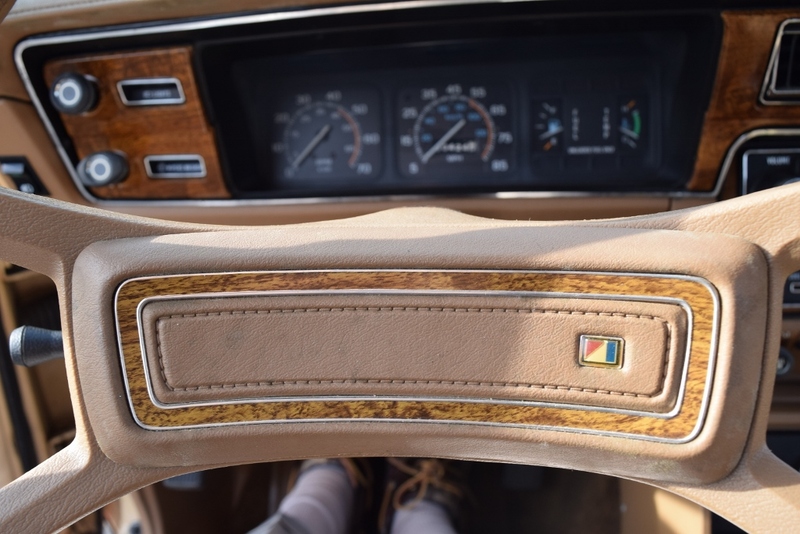 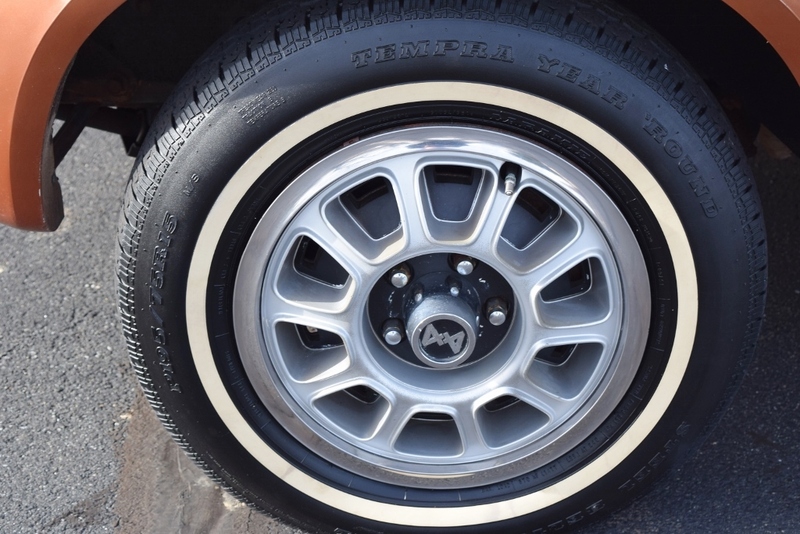 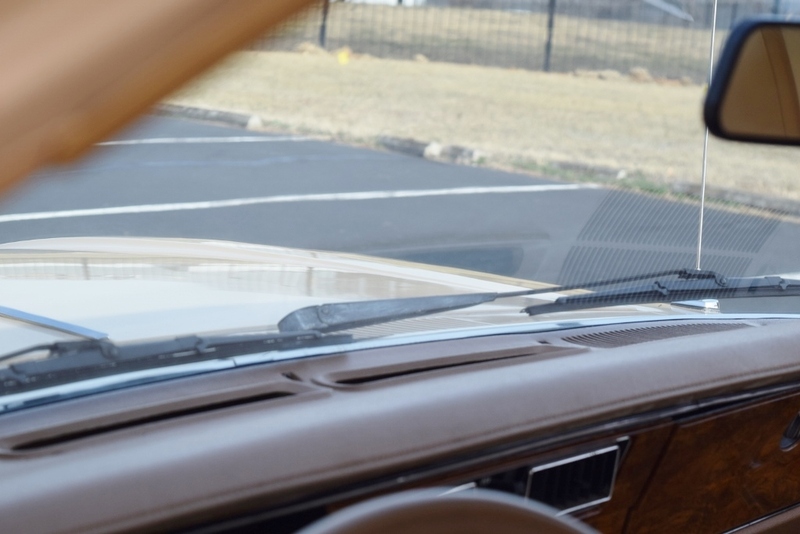 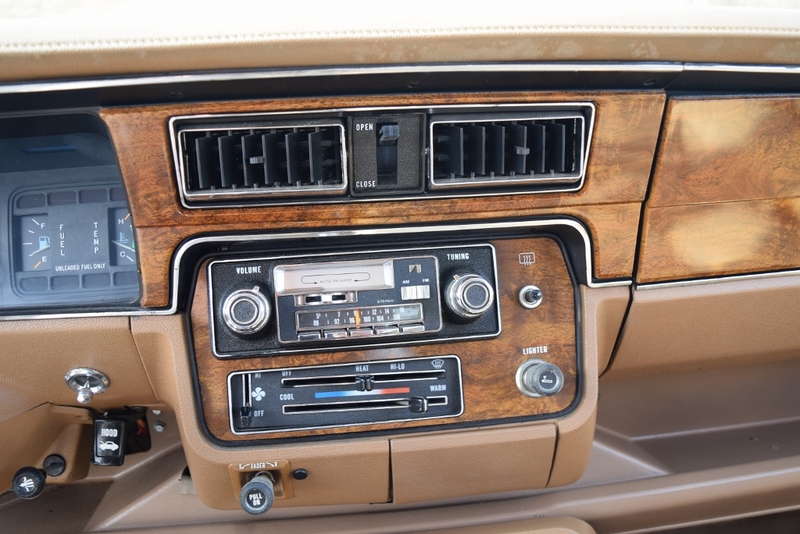 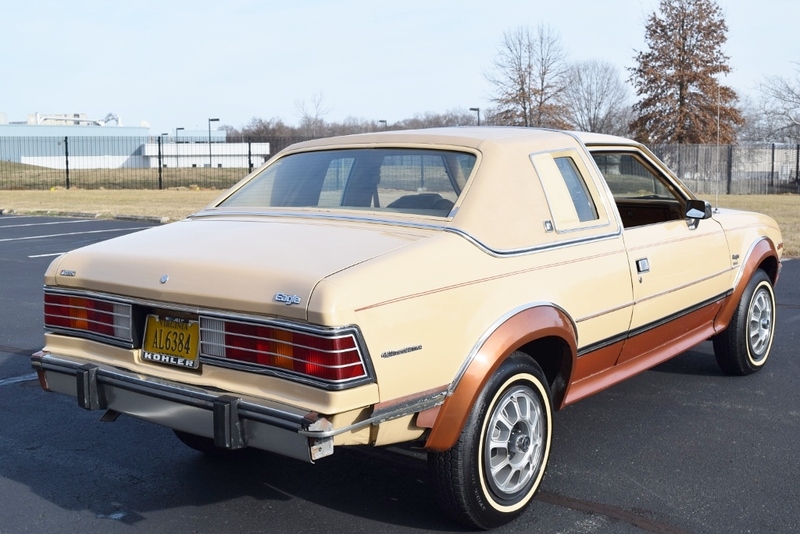 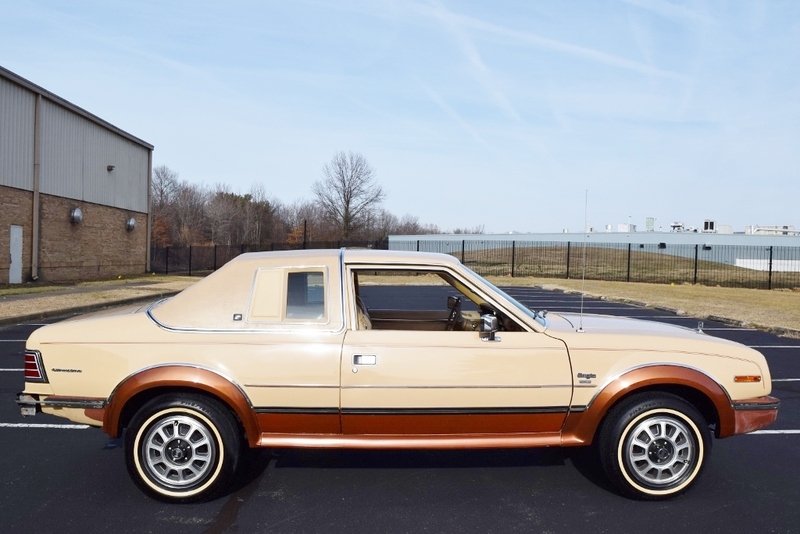 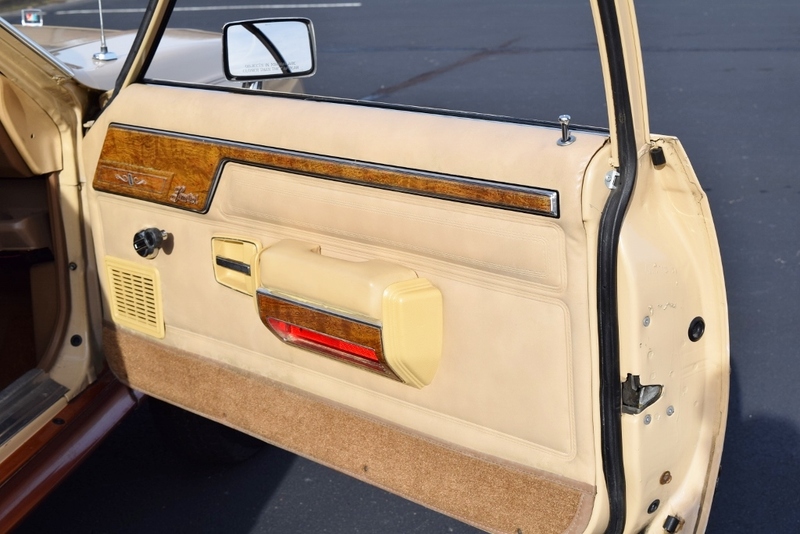 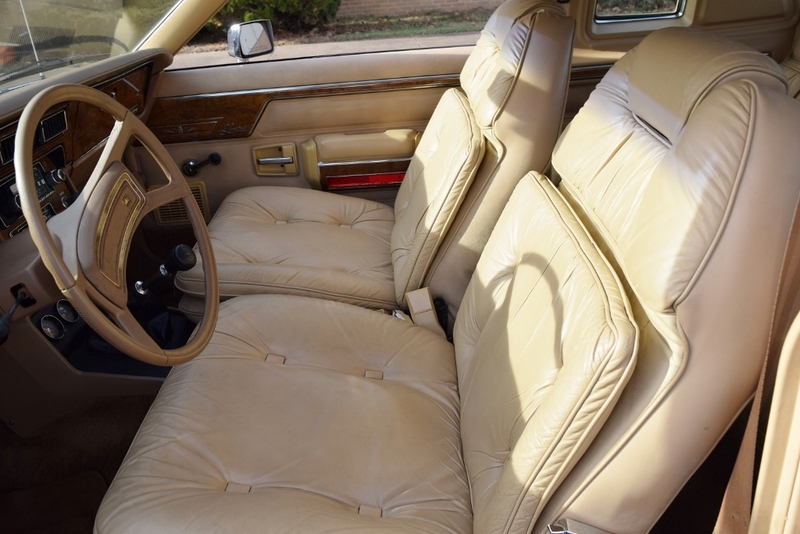 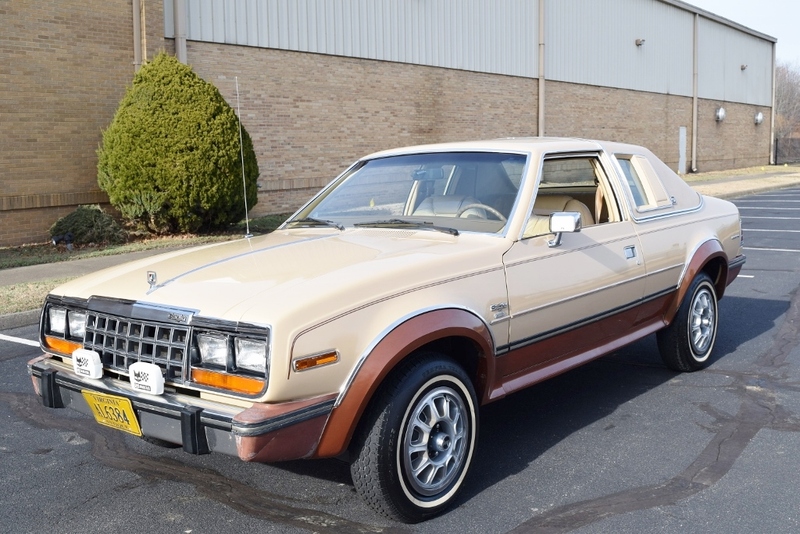 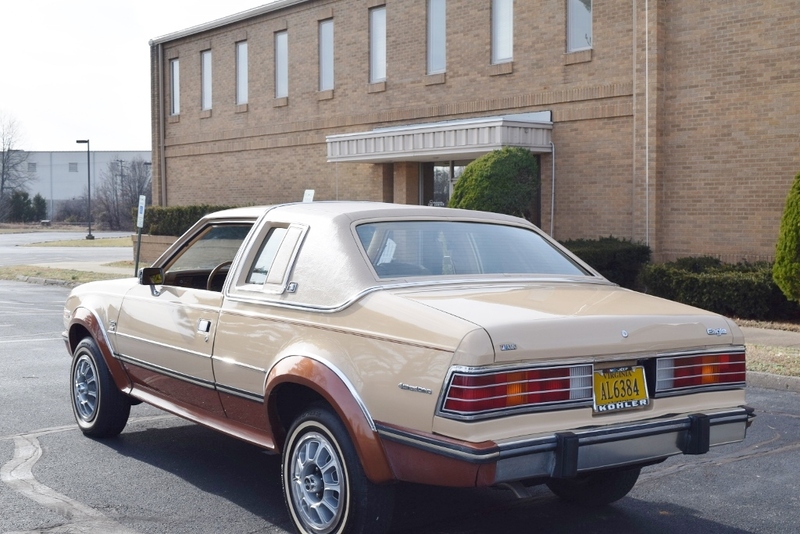 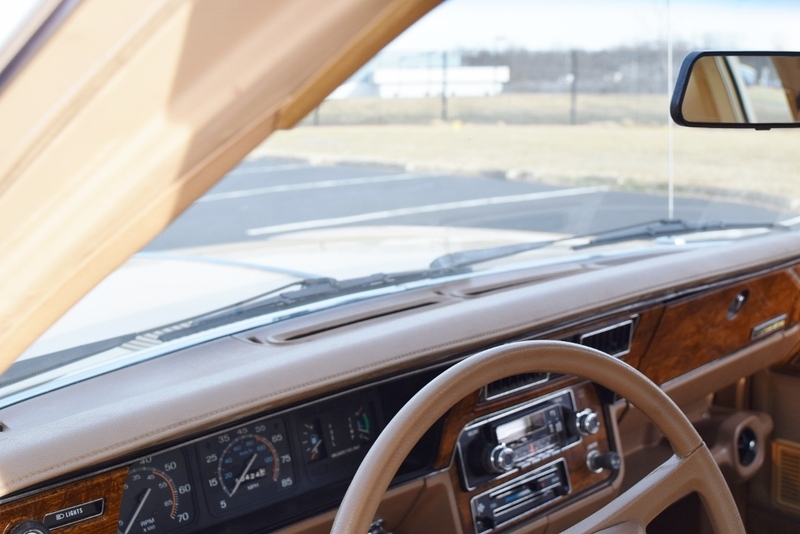 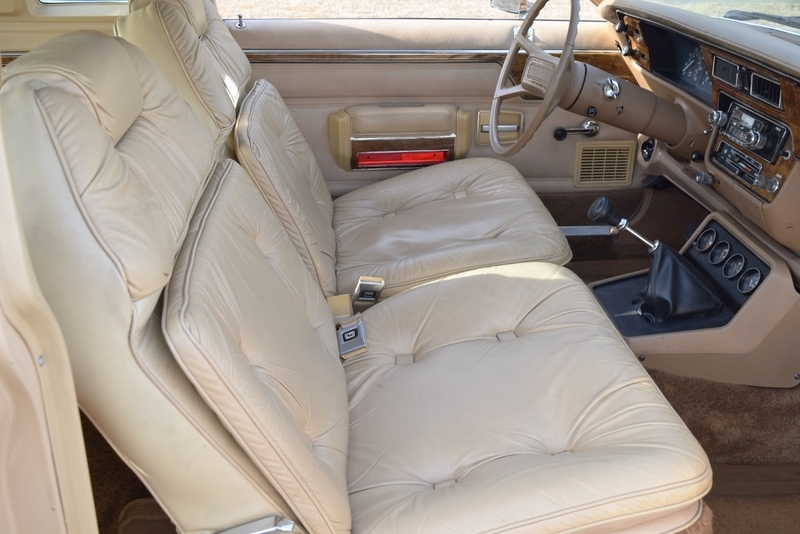 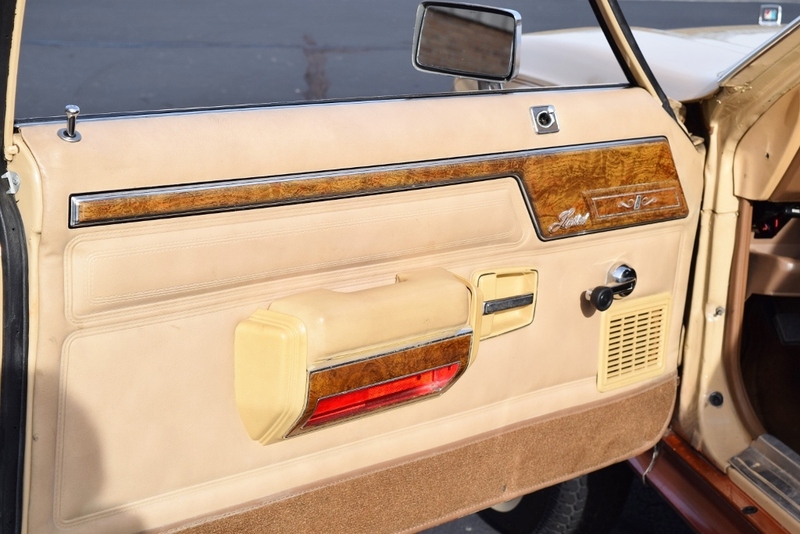 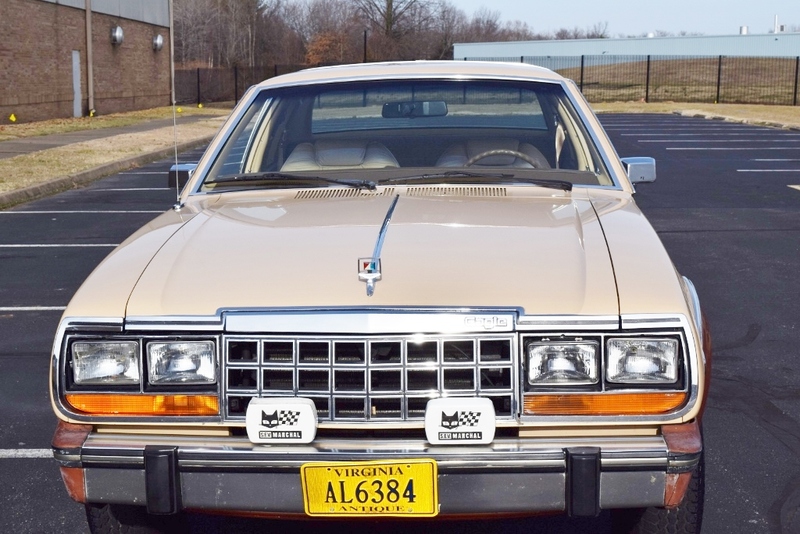 This 1981 Eagle coupe is no exception from its sumptuous leather interior to the factory’s use of galvanized steel and Ziebart rust protection. 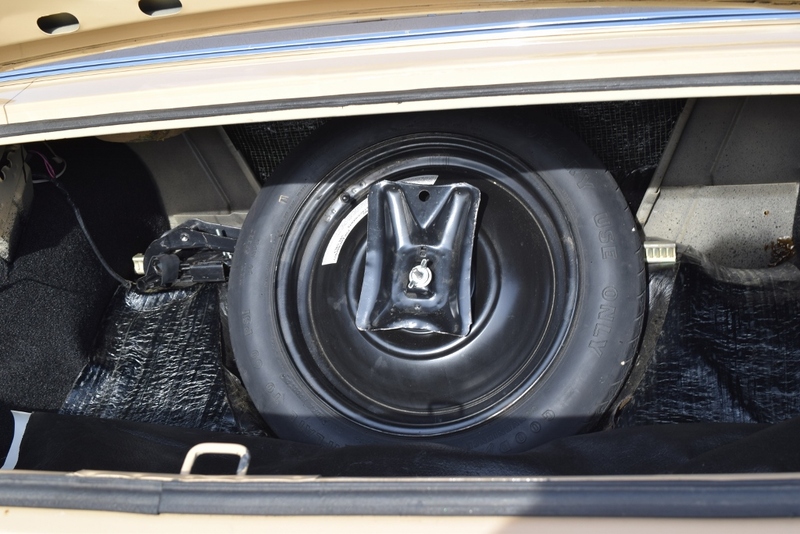 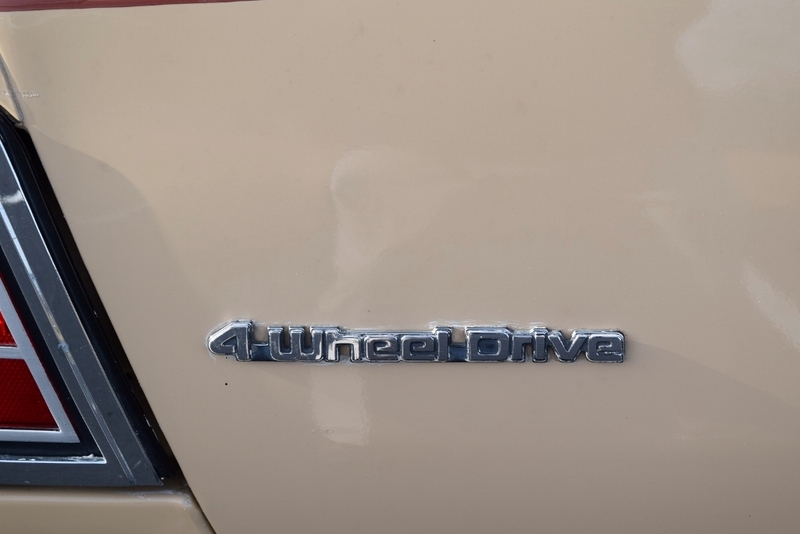 All of this is packaged in an attractively styled coupe that will literally go anywhere any modern all-wheel drive luxury vehicle will go AND it will put a smile on your face every time you drive it.